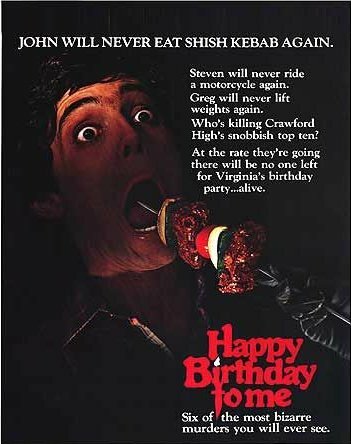 Happy Birthday to Me poster. . Wallpaper and background images in the filmes de terror club tagged: horror movies slashers 1981 scary promos posters. This filmes de terror photo contains anime, banda desenhada, manga, desenhos animados, mangá, and quadrinhos.